Collins Law Group offers legacy planning services to anyone concerned about how he or she will leave the world. Legacy planning service should begin when you are young and should involve taking a comprehensive approach to growing your assets and protecting your wealth from loss. As you get older, legacy planning becomes ever more important as you begin to consider how to transfer assets to causes you care about and people you love. What is involved in legacy planning in Los Angeles? How can an Los Angeles legacy planning lawyer help you? Legacy planning is important because everyone wants to make a mark on the world and leave the world a better place. You spend your entire life working, earning assets, and building up a business or a financial nest egg. You want to ensure that your lifetime of work is honored and that it has meaning. To do this, you want to be in control over who inherits your assets and what is done with your money and property when you are gone. Legacy planning is important to different people for different reasons. If you have children or grandchildren, you may want to ensure their education is provided for and they are cared for after you are gone. If you have built a business, you may want to ensure it survives after you are gone and continues providing valuable products or services. If you have charitable causes you believe in, you may want to ensure you can make contributions to support those causes. 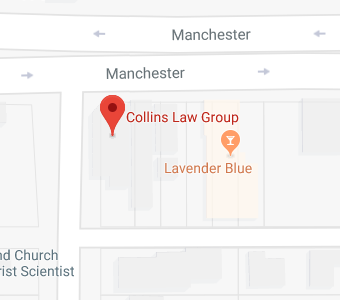 Collins Law Group will discuss your goals with you, help you to define what you want your legacy to be, and assist you in taking steps to achieve your dreams for your legacy. What is Involved in Legacy Planning in the Greater Los Angeles Area? Structure ownership of assets so your money and property are protected. You don’t want to lose all you have worked for because you need to go into a nursing home or because of other unexpected bumps in the road. We can help to ensure that your assets are kept safe and that you can qualify for Medicaid nursing home coverage without spending down assets or selling property. Protect your business and address business succession issues. If you run your own company, we’ll help you to structure ownership to reduce the risks of personal liability and to make it easier for your company to transfer to new owners when you are ready to retire or after you pass away. Protect your assets in case of incapacity. If something happens to you, a power of attorney and/or a living will can help to ensure that your assets are managed by a person of your choosing. It is imperative when you have assets which require hands-on management to ensure that provisions are made so the value of assets is not lost. Develop a comprehensive estate plan. Your plan should make provisions for the transfer of assets to appropriate individuals and charities after your death. Your estate plan could include efforts at reducing or avoiding estate taxes, as well as ensuring heirs do not lose the inheritance you provide due to divorce, bankruptcy, or mismanagement. These are just some of the many steps which Collins Law Group can assist you with during the legacy planning process. Collins Law Group can help you to get started with legacy planning today. We are ready to offer personalized advice from knowledgeable and compassionate attorneys to clients in the greater Los Angeles area including Inglewood, Los Angeles, Santa Monica, Torrance, and surrounding areas. Call today at (310) 677-9787 or contact us online to find out more about how we can help.